John McWhorter’s New Republic review of my new book, The End of Anger, is a textbook example of what happens when a writer with a personal agenda reviews a book he has no business reviewing. As McWhorter well knows, he had an ethical conflict, which he chose to ignore. That conflict stems from the fact that we have both made it known publicly that we have little respect for the other’s work. I have spoken with McWhorter only once, when he approached me over a year ago in an Upper West Side Manhattan restaurant and informed me that he was now living in New York. He thought it likely that we would encounter each other from time and time and essentially suggested that we be civil. Not that I had any intention of being anything other than civil. It is simply not in my nature. But I assume his concern stemmed from the fact that I had told a Los Angeles Times reporter that I considered him a shoddy scholar and researcher. I based this conclusion on the fact that, in my opinion, he seriously misrepresented an earlier book of mine, The Rage of a Privileged Class, in his own book. I had heard that he had been assigned to review The End of Anger and I anticipated that his tone would be snide and his judgment harsh. The meandering review that The New Republic published was frankly less hostile than I had anticipated. But it was clearly way off base. The main point of the book, as McWhorter should well know, is not that younger people are less racist than older people; it is that their way of maneuvering through the world is both informed by that fact and, in many respects, fundamentally different than that of their elders. And for some odd reason he chooses to make a big deal of the fact that taxis have on occasion passed me by and that they have stopped for him. He seems to question whether I am being honest. I can only presume he questions as well the honesty of hundreds of people who responded to my surveys and whose experience mirrors mine more than his. But the fact is that taxi story is a minor anecdote in a book dealing with much larger matters. That he chose to make so much of it, and to refute it with a personal anecdote of his own that proves precisely nothing, is simply bizarre. I cannot imagine that The New Republic knew that McWhorter had a personal agenda. But he certainly should have informed his editors of his conflict. The New Republic and its readers deserve at least that. I have been in this business way too long to expect every review of my books to be positive. But I do expect a reviewer to approach a book with an open mind. TNR should expect that as well. 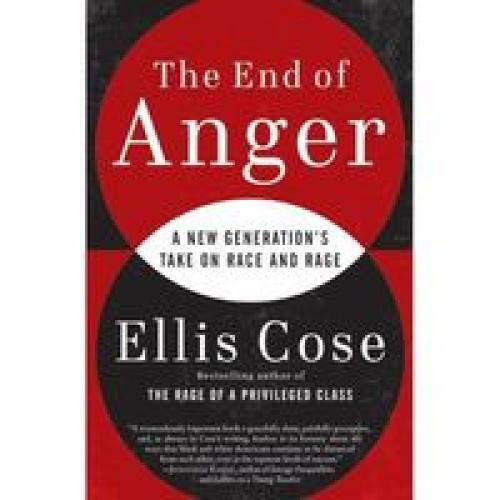 *John McWhorter’s original review of The End of Anger can be found here. *John McWhorter’s response to this letter can be found here.